Well, I opened this account 2 years ago… it’s probably about time I make my first post. What better day to than this last day of 2014 to show off some of my favorite images from 2014. I can’t say these are truly my best images. Most of them were selected because of the experience making them and personal connection I feel to them. In January, I threw common sense to the wind and headed south in a snowstorm and bitterly cold temperatures to find some snow. Near Cascade Idaho, I sat in the pitch dark of morning, with the car thermometer reading -11 degrees outside, and wondered if I was crazy. 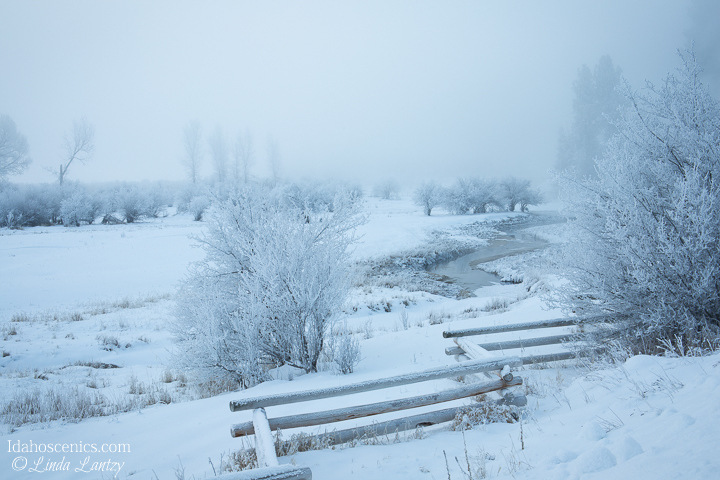 It was on this morning as I explored after it was light, that I found this wintery scene. 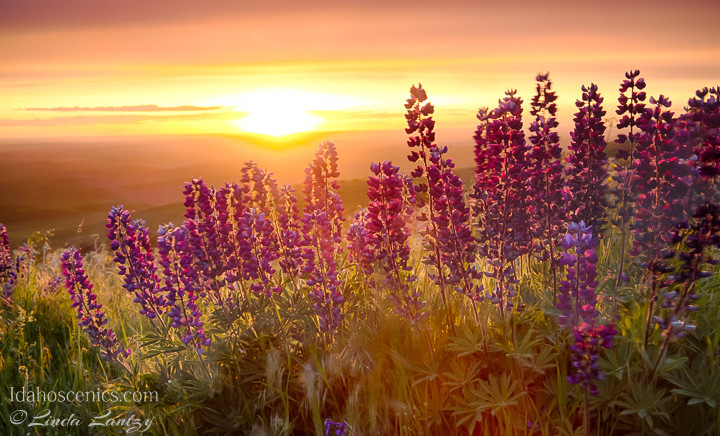 The lupine of Steptoe Butte continue to taunt me as they sway in the wind every time I go, never-the-less, I enjoyed sitting here amongst the flowers with my dog waiting for sunset. One day I will time it right for a nice calm evening. 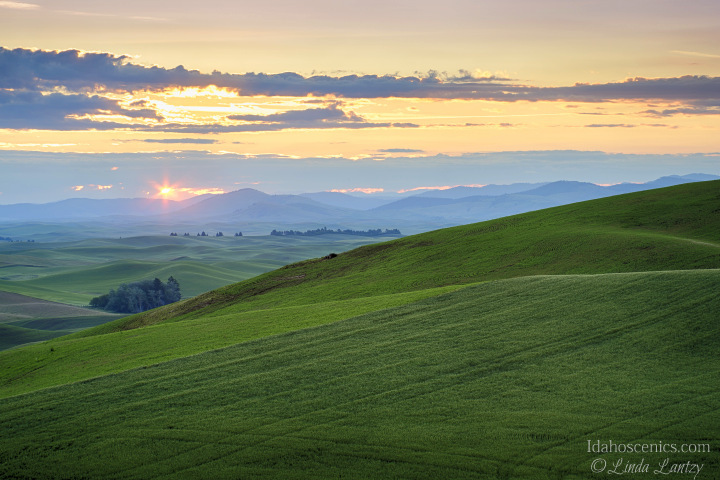 A few day later, and after some significant rain, I got up in the dark and tried Steptoe Butte again. With plenty of time to spare I traveled some side roads until I determined it was time get to the butte for sunrise about 5 miles away. My GPS found a route towards the mountain, which ended up being nothing more than a farmers access road. My new mud tires really paid for themselves that day and I made this spot on the hill just as the sun found that gap in the clouds for a brief minute then was gone. 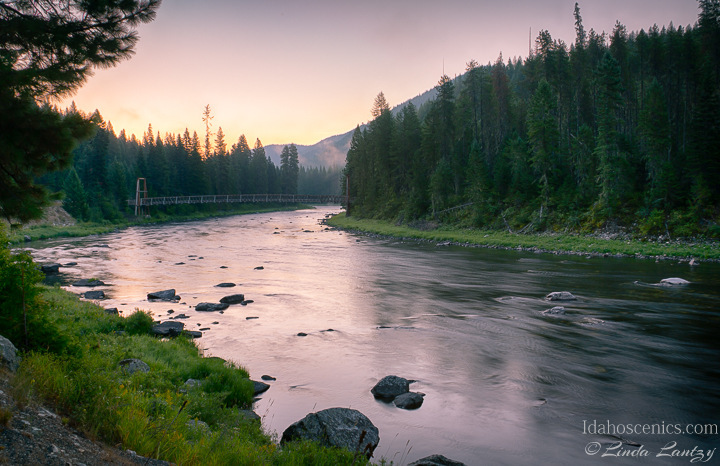 Dawn on the Lochsa after spending the a peaceful night in my Jeep listening to the water rush by… On the same trip and after another night in the Jeep, I arouse in the dark and made my way by headlamp to the outlet of Meadow Lake, high in the Lemhi Range. After visiting with the camp host the night before and hearing of mountain lions being spotted just above this spot, I was a little spooked. The sky didn’t really do what I wanted, but I was proud of myself for being there just the same. The next 4 are from my home turf in North Idaho. The Kaniksu National Forest which has really captured my heart over the last couple of years. 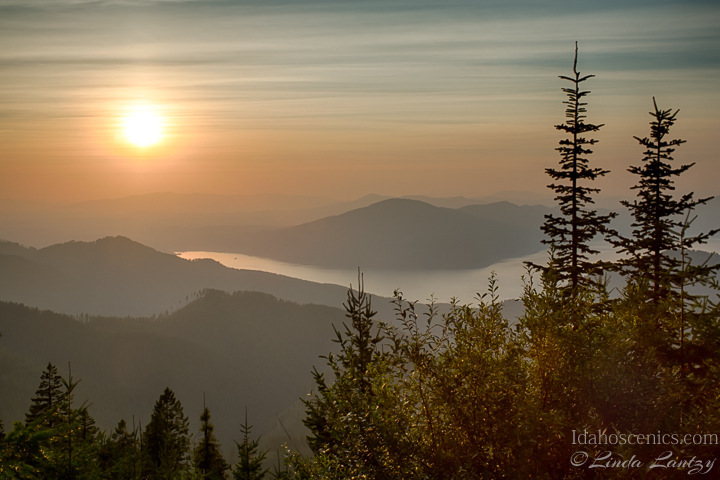 This is a view over the south end of Lake Pend Oreille on a nice summer afternoon. 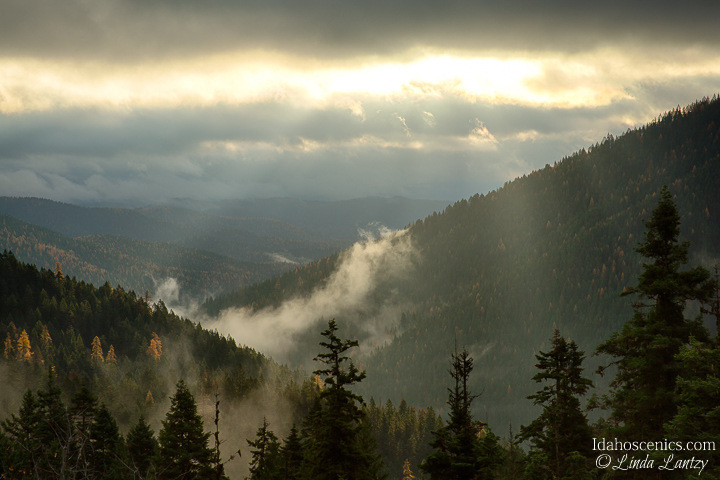 This view of the same forest later in autumn after hunting season, was after driving in the dark for 2 hours through mud bogs and what felt like small ponds on a less than ideal mountain road, only to have there be nothing happen at sunrise. It wasn’t until on the way back that the sun found this small gap in the clouds and I saw something that inspired me to shoot. I never saw another soul out there and I was glad to make it out of the forest that day. 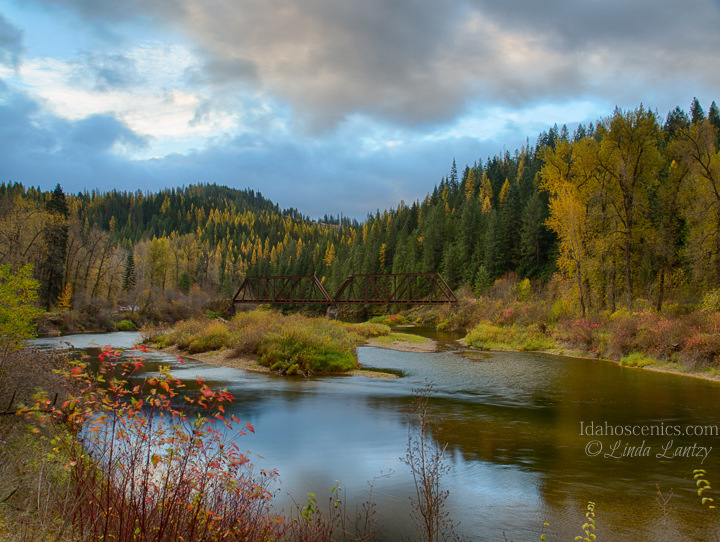 This is a much photographed bridge on the St. Joe River, but the first time I caught it with autumn color. From a nice day trip up the river and over the mountains. I didn’t time this one well. My first attempt on the 4×4 road that accesses Sundance Mountain above Preist Lake. I’ve wanted to go here for so long. My first attempt in a 2 wheel drive truck, I took the wrong road which was a good thing because the truck never would have made it. 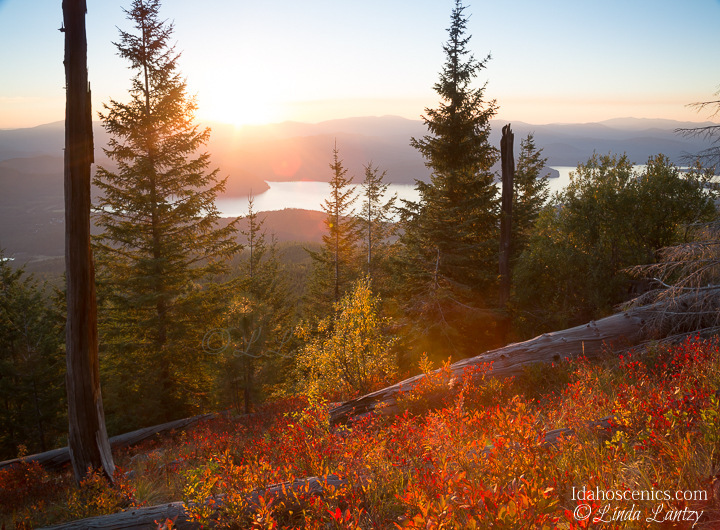 I returned with better directions this fall in my Jeep, but underestimated the time it would take to navigate the road up there. I was still a good ways from the top when I had to stop to shoot sunset. Technically this image is lacking, but I liked the warm sun on the huckleberry bushes and purposely let the sky blow out. To add just a little more motivation to shoot this quick, there was a large animal grunting in the trees about 100 yards below me. I’ve wanted to go to Colorado for years and after I had to cancel last fall, nothing was stopping me this year. 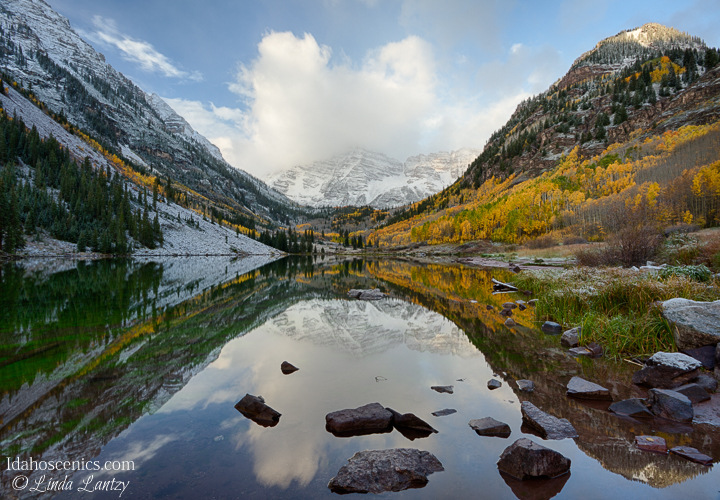 This is my image of the Famous Maroon Bells, that crosses one item off my bucket list. Being a solitary shooter, it was interesting to be there with 50 other photographers. I’m sure there are better shots of this, but this one is mine. 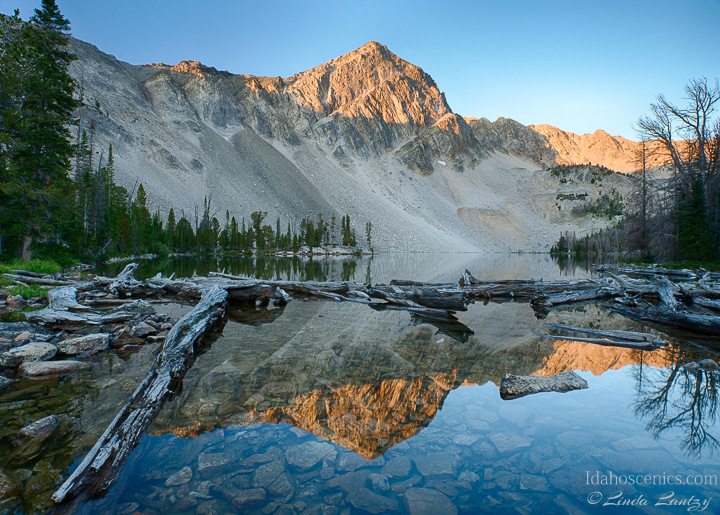 While waiting for morning light on the previous image, and dancing around in the cold, I noticed the great peaks of Sievers Mountain immediately behind me. This shot makes me happy because I didn’t notice anyone else giving it any attention. 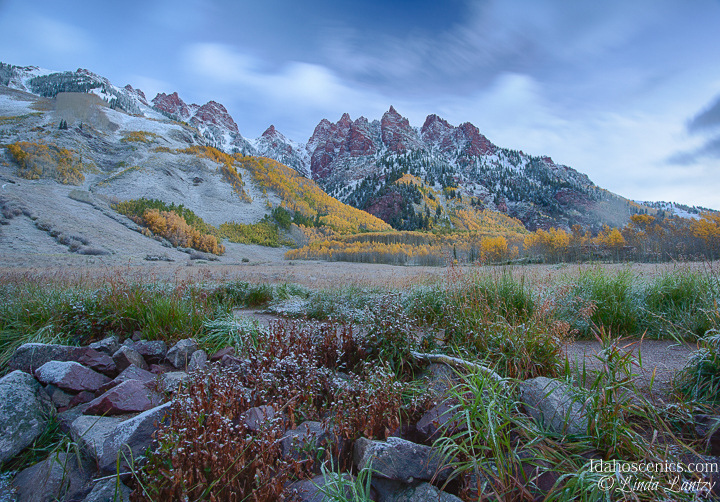 I have too many from Colorado to show here including some favorites of the glorious aspen. I don’t like driving at night, but when I have a trip planned, there’s no sleeping anyways. After climbing into bed at 8pm one night I decided I might as well be driving, so I was on the road by 9 and drove all night to make Island Park by sunrise. This shot represents that little bit of crazy more than anything, and the call of the open road. 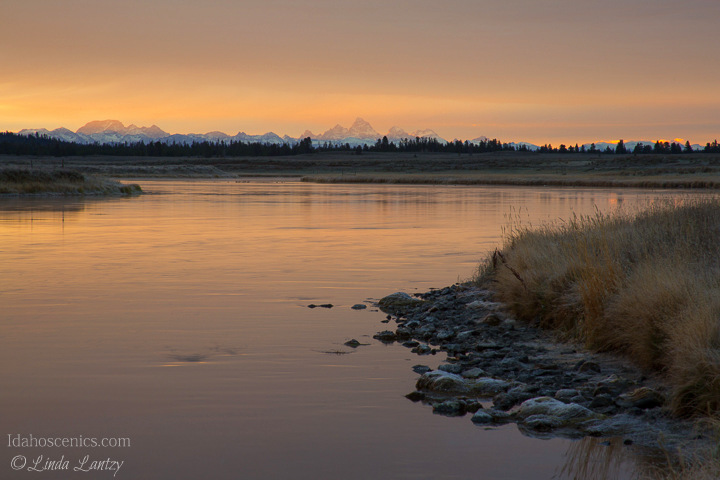 The Tetons and the Henry’s Fork of the Snake River. After touring through Southeastern Idaho and a night in the Caribou Mountains, I made it to my main destination at the City of Rocks. I found myself a great vantage point high in the park and with the wind howling at about 45mph, spent the night with the Jeep rocking in the breeze. A quick trip to Boise in December, found some of the only snow in the state at McCall. 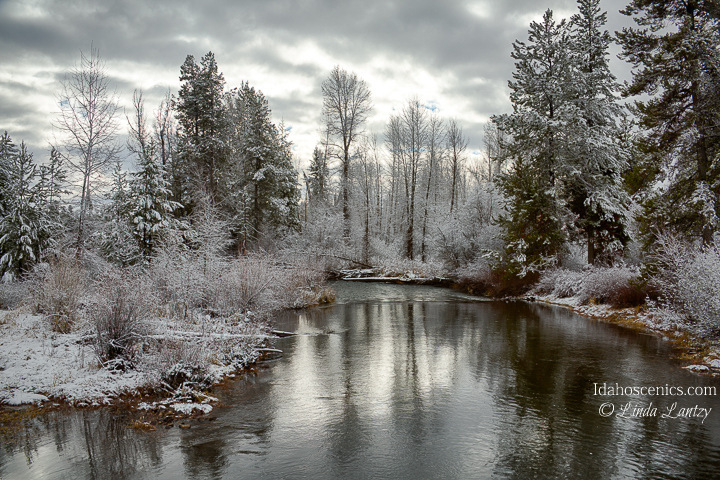 This is Lake Fork Creek decked out in silver and one of my new winter favorites. 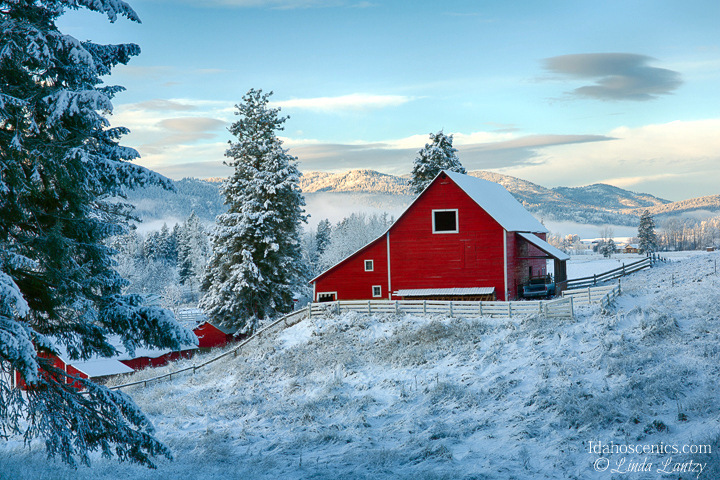 And by popular vote…..Last Sunday morning I took a little drive in Eastern Washington and photographed barns in the Chewelah area. This was a totally easy shot, in which all I did was get out of the vehicle, so imagine my surprise that it has been hugely popular on social media. I’ve included it here because it is my most “shared and liked” image to date. Go figure. 🙂 If you see something you can’t live without, I’d be honored if you chose to make a purchase. 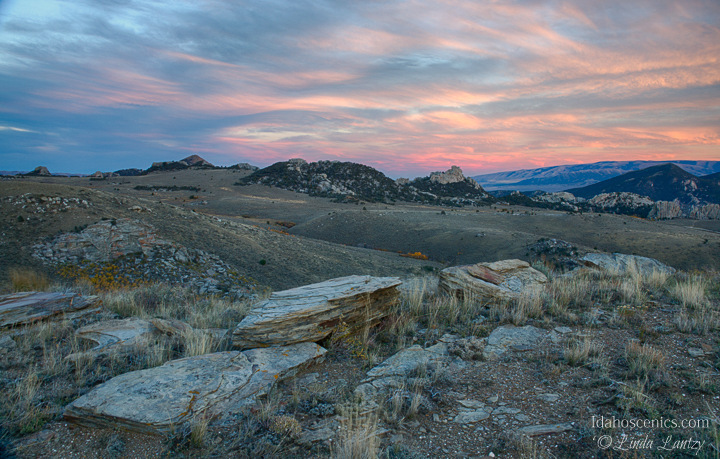 Please visit Idaho Scenics to see more. Previous PostHello world!Next PostHappy Spring! Wow Whee, several of your photos are knock your lights out wonders!